The exhibition "Asco: No Movies" at the Nottingham Contemporary was reviewed in the December/January issue of Art Monthly, a U.K. publication. MEDIA: "Three Questions for Ramón García"
Daniel Olivas interviewed Ramón García concerning his new book on Chicano photographer Ricardo Valverde. The book was recently released by the CSRC Press. MEDIA: "The artist Gronk hosts book launch of Ramón García’s biography of the late Chicano photographer, Ricardo Valverde"
Reporting for La Bloga, Daniel Olivas covered the launch party for the CSRC publication "Ricardo Valverde" by Ramón García, volume 8 in the A Ver series. On Friday, December 6, CSRC director Chon A. Noriega participated in a town hall discussion concerning the need for a Smithsonian American Latino museum in Washington, DC. Robert Suro, director of the Tomas Rivera Policy Institute, was the moderator and Xavier Becerra, U.S. Representative for California's 34th congressional district, provided commentary and legislative context. 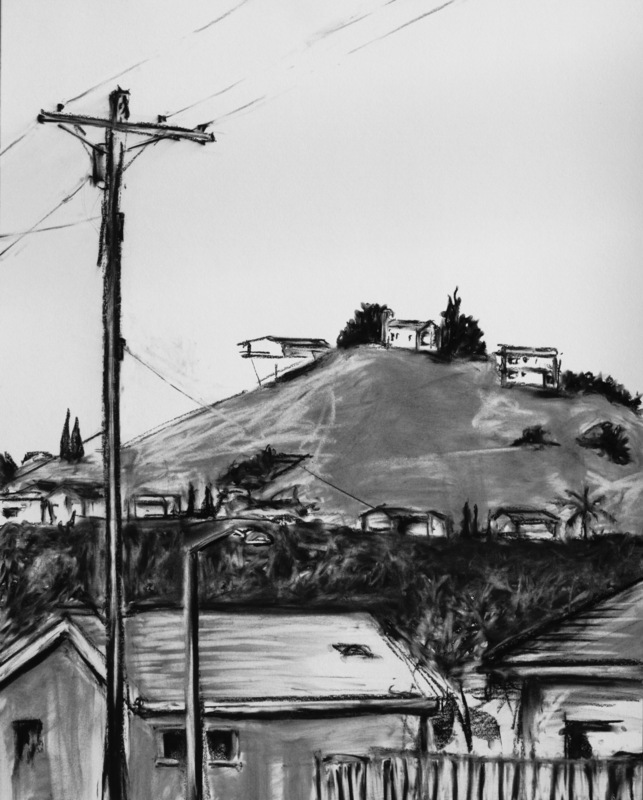 CSRC holiday book and DVD sale, L.A. Xicano oral histories now online, IAC research grants available, and more! Maria Elena Ruiz, former CSRC associate director, published the editorial “The Voice for Latino Communities: A Time for Action” in the latest issue of Hispanic Health Care International (volume 11, number 4). 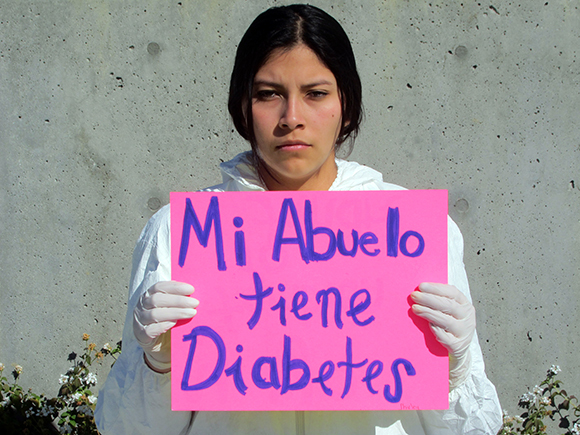 Ruiz is an assistant adjunct professor in the UCLA School of Nursing and a CSRC faculty affiliate. 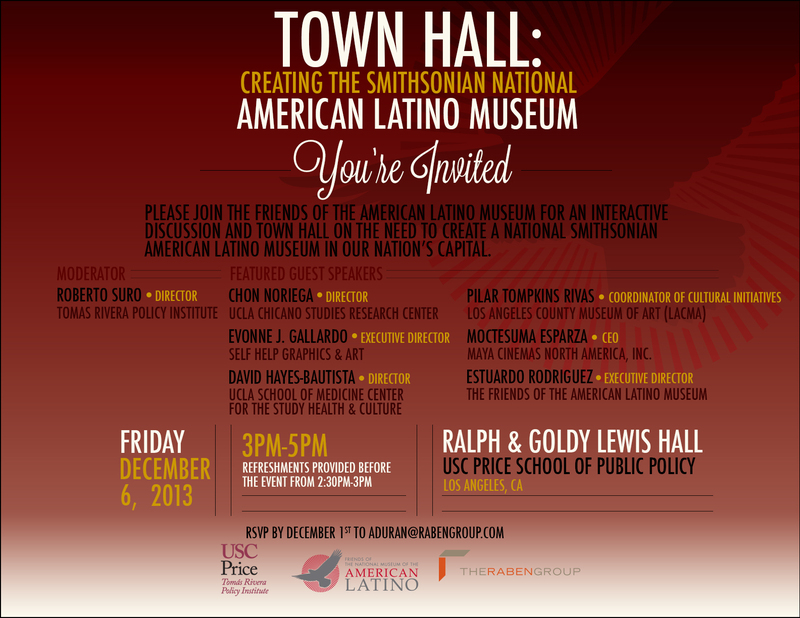 Join CSRC director Chon A. Noriega and others for a discussion concerning the need for a Smithsonian American Latino Museum. MEDIA: "William A. Nericcio Holds Court at UCLA’s Chicano Studies Research Center to Rapt Crowd"
La Bloga provided coverage of the CSRC event featuring William A. Nericcio, professor of English and comparative literature at San Diego State University, discussing his research. MEDIA: "Rafael Ferrer: Profile of an Internationally Recognized 'Artist's Artist'"
The online journal Apuntes featured Chon A. Noriega's foreword to the book "Rafael Ferrer" by Deborah Cullen, volume 7 in the CSRC's A Ver series.